Enjoy a ride in the Tornado Boat in the port of Caesarea an experience of a life time. After lunch visit the special snail museum where you can scuba dive to rescue snails and use the special ink they produce. Of course this activity is nature friendly and the snails are returned safely to the ocean. Continue to Atlit detention camp, where the British housed the refugees smuggled in during and after World War II. Drive to Dalat El Carmel a Druze village to receive Druze hospitality and learn about this special minority, their secret religion and traditions. Drive through Haifa, view the Bahai Gardens that form the centerpiece of Haifa. Haifa is the world center for the Baha’I faith, the shrine being at the center of the manicured gardens. Continue through the sea side town of Nahariya before arriving at the beautiful grottoes of Rosh Hanikra, The art work of “master nature” The cable car will take you down to the naturally hewn caves in the water on the Israel-Lebanon border. Tour the coastline, watch the amazing sights, hear the whistling wind and feel the sea waves. We start the morning with a tour of the mystical city of Safed; home to Cabbalists and thriving artist colony. Walk along the beautiful artist’s colony and Visit the ancient Synagogues and the artist quarters. This is one of the Four Holy Cities, according to Kabalistic studies. Continue to “Bat Yaar Ranch” for some fun and adventure! Visit to Manara the northern border and take a cable car ride up the mountain top and view the border, down by cable car. The cable car had been destroyed in Lebanon war, and had to be rebuilt. End the day with kayaking down the Jordan River that combines good exercise with the exquisite beauty of Israel’s north. MAZELTOV! This morning we will drive to the city of Katzrin, the capital of the Golan. At the ancient Katrin Park, a partially restored 3rd-century Jewish village is the Katrin Synagogue. The Synagogue was used for 400 years until it was partly destroyed, possibly by an earthquake, in 749. Here we will celebrate the Bat Mitzvah. Take an exciting jeep ride as we learn of the strategic importance and history of the land and its physical beauty. Visit the Golan Olive Oil Mill for a tour and tasting. This major agricultural center combines modern technology with one of Israel’s oldest Industries. Drive via Mitzpeh Gadot, here you will have a good vantage point of how the Golan completely overlooks the Kinneret, together with the Moshavim, Kibbutzim and the tour of Tiberius. Drive down the Jordan River to Jerusalem where you will check into your hotel. Free day to rest and enjoy Shabbat in Jerusalem. Visit the Knesset, the house of Israel’s parliament. Both the name and the number of seats was taken from Haknesset Hagedolah, the Great Assembly of the Second Temple period. View the Chagall tapestries, subjects of the Creation, the Exodus and Jerusalem. Across the road from the Knesset is the Menorah, the official symbol of the State of Israel. Next we’ll visit the Supreme Court of Israel. This building is one of the most spectacular buildings in all the Middle East. Walk through its halls and learn which each nook is meant to symbolize. Continue to the Israel Museum, where the domelike Shrine of the Book houses the Dead Sea Scrolls. We start our day with the Ramparts Walk around the Old City walls. We will make our way to the Jewish Quarter, reconstructed after the city was unified after the Six-Day War. Visit Ir David (“City of David”), the section of Jerusalem that was captured and settled by King David and established as the first capital of an independent Jewish entity, and walk through Hezekiah’s Tunnel. This was the water tunnel dug by King Hezekiah in an attempt to protect the water supply to Jerusalem. We depart the hotel making our way to the Negev. 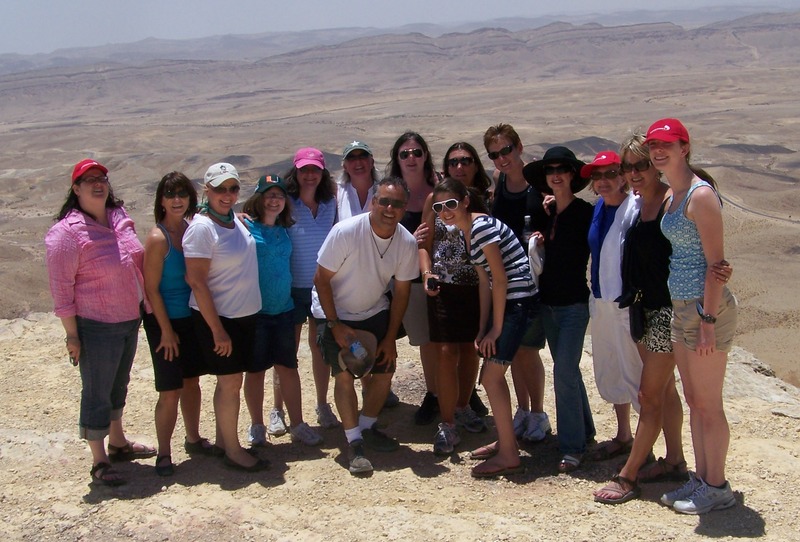 Visit Abraham’s Well, and Tel Beersheba the sight of biblical Beersheba. Amid the eucalyptus trees we will visit Ben Gurion’s simple dwelling. Israel’s first prime minister, his home is known as:”the hut”. Not far from the hut is Ben Gurion’s grave. The sight selected by Ben Gurion himself, overlooks Zin Valley’s geological finery. Continue to Beersheba, the capital of the Negev. Beersheba is the 4th largest city in Israel, and the home of the Ben Gurion University. Drive down the Burma Road, the path that during the War of Independence was opened to Jerusalem in which conveys brought food and supplies to the city under siege. Continue to the Tavlin Herb Farm, a unique Israeli project in which medical plants and herbs are grown and dried naturally. Additional to this the farm makes dried fruits with no added preservatives. Continue to Mini Israel; tour the world’s largest miniature city, designed in the shape of the Star of David. The thousands of miniature “residents” have been created to present not only the physical, but also the cultural, religious and social aspects of contemporary Israel. Return to your hotel.